This year sees the return of the Selangor Smart City Convention, under the Selangor Smart City and Digital Economy Convention 2018 (SDEC2018). Announced on the 19th of March at the Malaysia International Trade & Exhibition Centre (MITEC) as part of the return of the Selangor International Business Summit (SIBS), the convention will take place on the 13th of September to the 15th of September. 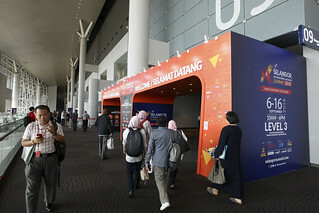 This marks the third iteration of the Smart City convention, as well as the second edition of the SIBS, with 22,000 visitors and RM204.2 million generated by the SIBS in 2017, while more than 5,000 visitors and exhibitors were at the Smart City convention. “We are honoured that SIBS 2018 has received the formal endorsement of the Malaysia External Trade Development Corporation (MATRADE), and that Malaysia Airlines Berhad is on-board as the summit’s official airline partner. Also strongly supporting us this year are 19 partners, to date, from both the local and international business chambers and councils,” said YB Dato’ Teng Chang Khim, Senior Executive Councilor of the Selangor State Government, during the launch of SIBS 2018. “In the wake of the current global economic situation, it is imperative for Asean countries to operate as a united community, in support of each other. 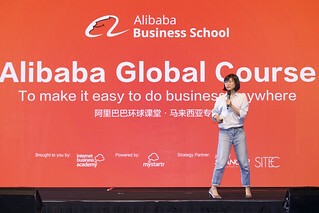 As the gateway to Asean, Selangor will act as a centre-point that hosts and connects a rich network of trade industry players globally, by leveraging a solid platform like the SIBS 2018,” added Teng, noting that the One Belt One Road policy cannot be ignored, but that parties should be prepared to take advantage of this new wave of development, such as Selangor’s proactive stance, instead of passively being swept away by that wave. 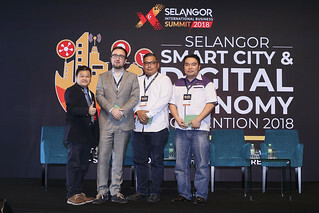 The summit series will continue to adopt a highly-focused and result-oriented setting, with main events such as the SSC&DEC2018 focusing on the startup community as well as their contributions to the Smart City and Digital Economy sectors, as well as the Selangor International Expo 2018, which will be focusing on the F&B sector as well as connect industry players through business matchmaking and the hosted international buyers programme. “Invest Selangor Berhad is proud to organise an event of such positive magnitude, as part of its efforts to position Selangor as a global trading hub and gateway to Asean for both domestic and international businesses,” said YBhg Dato’ Hasan Azhari Haji Idris, Chief Executive Officer of Invest Selangor Berhad, adding that last year, Selangor saw RM5.59 billion from the manufacturing sector alone, with 10,000 jobs created. Learn more about the Selangor Smart City & Digital Economy Convention 2018 here. More information about the Selangor International Business Summit 2018 may be found here.